*The grandson of “Welcome to Sweetie Pie’s” star Miss Robbie is dead. TMZ reports that 21-year-old Andre Montgomery was found in a house, unconscious with a gunshot wound Monday night. (Mar. 14). According to police he was pronounced dead on the scene. At this time, there is no suspect, police added. While authorities are investigating the incident, Miss Robbie, who is mourning the death of Montgomery, believes her grandson was set up. According to the OWN star, the house Montgomery was shot had a recording studio. At the time, Montgomery was laying a rap down. Miss Robbie goes on to tell TMZ that during Montgomery’s recording session he got a call to meet someone outside. When he got outside, Miss Robbie says that’s when Montgomery got shot. 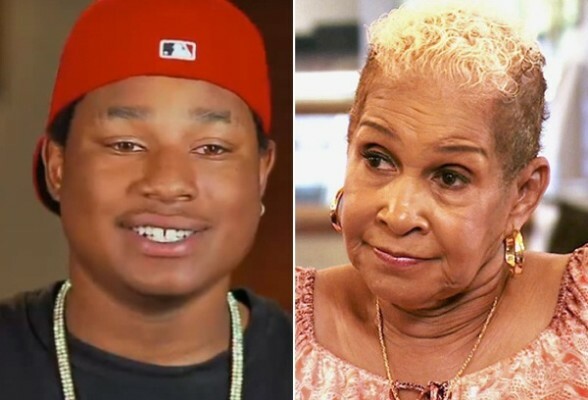 Montgomery is noted for frequently appearing with his family on “Welcome to Sweetie Pie’s,” most notably in an episode that included his high school graduation in 2013, when Miss Robbie was beaming with pride. Regarding the case, Miss Robbie revealed the one strong lead, saying that Montgomery was staying in a hotel while noting that someone used a key to enter the room on Tuesday morning. Miss Robbie further stated that although Montgomery’s belongings were missing from the room, the person who went in the room was captured on surveillance cameras. I don’t watch this show, but I wouldn’t wish this on anyone. Prayers for this family. Rest in peace son. I extend my sympathy to the family and friends. Hopefully the killer(s) will be caught soon.